LA PUENTE – Bassett High School students and their families cheered loudly as members of the Olympian boys and girls basketball, boys and girls cross country, girls volleyball, wrestling and cheer teams were introduced by their coaches, then draped with candied necklaces during the inaugural Winter Sports Celebration on March 27. “To be a student athlete at Bassett is amazing because Bassett makes being an athlete feel like a family while being part of a team,” Bassett senior and wrestling team member Marissa Noriega said. All seven winter sports performed magnificently throughout the year. All teams, aside from cheer, participated in the CIF playoffs, with boys and girls cross country, volleyball and girls basketball winning league championships. The cheer squad, competing for the first time in 10 years, made it to the nationals. “Being a student athlete at Bassett means to hold strong responsibilities, provide dedication and, most importantly, be a leader,” Bassett senior and volleyball team member Prisilla Gomez said. The Winter Rally coincided with Bassett High’s Open House, where students showcased what they have learned through interactive demonstrations. 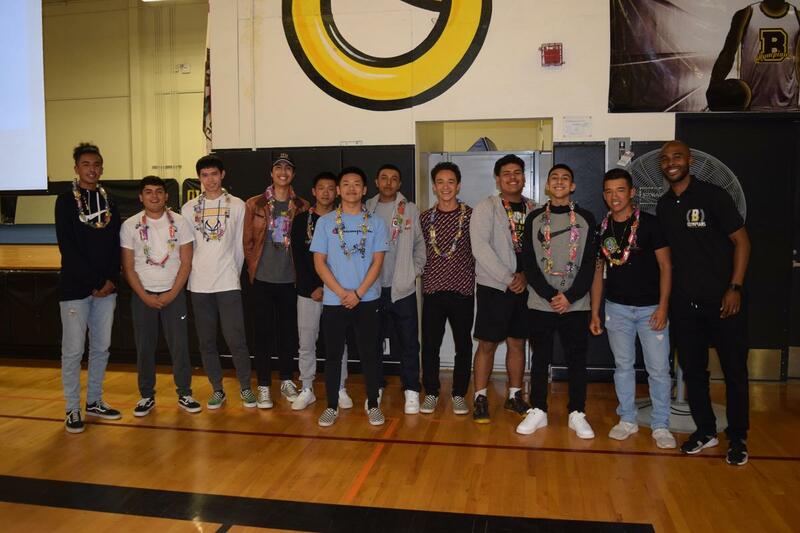 03-27-19_BASSETT_WINTERSPORTS_1: Bassett High School’s boys basketball team participated in the CIF playoffs and their efforts on the court as well as in the classroom were celebrated during the Bassett Unified Winter Sports Celebration March 27 at Bassett High School.